Creative writing, modern and contemporary American poetry, nineteenth-century British and American literature, science and literature, hybrid/mixed-media poetics. Dr. Vance received his M.A. in English with Specialization in Creative Writing from the University of Illinois at Chicago and his PhD in Literature and Creative Writing (with a Women’s Studies Certificate) from the University of Houston. His first book of poetry, Vitreous, winner of the 2005 Del Sol Press Prize, was published in 2007 and subsequently appeared twice on the Poetry Foundation’s Best Seller List. 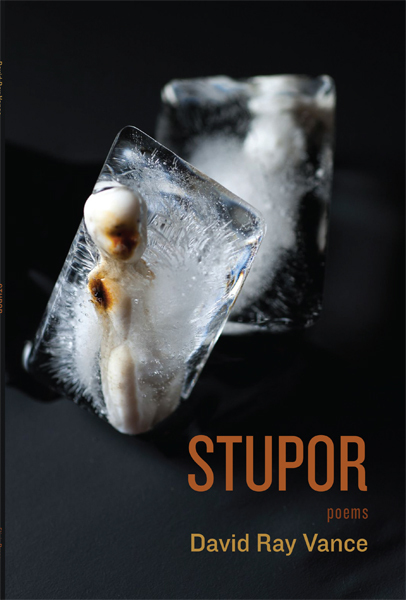 His second collection, Stupor, won the 2012 Elixir Press Antivenom Prize and was published in January 2014. Dr. Vance’s poems and stories have appeared in such journals as Denver Quarterly, Chicago Review, Notre Dame Review, Texas Observer, and McSweeney's, as well as in the anthologies Is This Forever or What?—Poems and Paintings from Texas (Greenwillow/Harper Collins) and Art at our Doorstep: San Antonio Writers and Artists (Trinity University Press). His poems have also been included in two artist editions published by Ed Colker’s Haybarn Press: Gathering: fifteen poets/poems (2010) and Opposed to Indifference: Poems of Memory and Conscience (2012). His essay “Mark Nowak: Documentary Praxis [Redux]” appears in American Poets in the 21st Century: The New Poetics (Wesleyan UP). Dr. Vance is co-editor for American Letters & Commentary, which is dedicated to publishing “innovative and challenging” writing and art, and he serves as faculty adviser for Sagebrush Review, UTSA’s student-run literary annual. The recipient of a UT System Regent’s Award for Outstanding Teaching, Dr. Vance is a member of UTSA’s Academy of Distinguished Teaching Scholars.